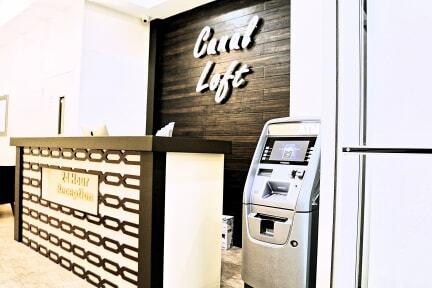 Canal Loft Hotel has a chic contemporary flair. It has a Soda and Juice Bar on Premises. Canal Loft Hotel is your Home Away from Home. The property is ultra-clean with free high-speed Wi-Fi throughout all areas of the property. We offering brand new lobby and best common area where you can relax watch TV and meet other travelers. Our multi-lingual staff will help you with all your travel needs and will give you inside knowledge on all major events in New York City, as well as information on local activities. Laundry facilities and Parking is right next to the Canal Loft Hotel. Our property is very appealing to youth travelers, backpackers, and students. 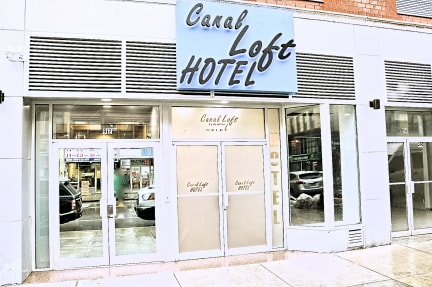 Canal Loft Hotel is located in the trendiest neighborhood in Manhattan, Lower East Side. Lower East Side is a prime shopping, dining, drinking and sightseeing territory. It’s the Manhattan’s most fashionable neighborhood. We are walking distance to Greenwich Village, East Village, SoHo, Chinatown, and the Financial District, Little Italy. The best bars, restaurants, cafes, supermarkets, galleries, and museums surround us. All our suites and lodging accommodations feature: Heat and A/C with individual temperature control, private bathrooms, hair dryers, all bathroom amenities, Free WiFi, voicemail, cable, safe, iron & ironing board. Payment upon arrival by cash, credit cards, debit cards (Visa,Mastercard, Discover). This property may pre-authorise your card before arrival. A security deposit of USD 100 is required upon arrival for incidentals for a private room and USD 50 per person for a shared dorm room. This deposit is fully refundable upon check-out, subject to a damage inspection of the accommodations. Occupancy Tax 3.50 USD per night per person. Minimum age to book is 21.